PDD-NOS no longer exists, but the symptoms are still around! If you've been involved with the world of autism for more than a few years, you have probably heard of a disorder called PDD-NOS (pervasive developmental disorder not otherwise specified). You may even have a child who received the PDD-NOS diagnosis. You might have been told that it's a diagnosis that means "on the autism spectrum, but not falling within any of the existing specific categories of autism." Today, you can search the diagnostic manual forever, and never find such a diagnosis. That's because it existed only for a couple of decades and then disappeared forever. That doesn't mean that the symptoms vanished, or even that there are fewer people with the symptoms associated with PDD-NOS. Rather, it means that PDD-NOS is an outdated diagnostic category. This category should be used when there is a qualitative impairment in the development of reciprocal social interaction and of verbal and nonverbal communication skills, but the criteria are not met for Autistic Disorder, Schizophrenia, or Schizotypal or Schizoid Personality Disorder. Some people with this diagnosis will exhibit a markedly restricted repertoire of activities and interests, but others will not. By the year 2000, the Diagnostic and Statistical Manual listed five disorders that fell under the category of "pervasive developmental disorders" (PDDs). These included autism, Asperger syndrome, Rett syndrome, fragile X syndrome, and PDD-NOS. Once the DSM-5 was published in 2013, however, the term PDD-NOS "disappeared" from the diagnostic literature. Most of the people involved felt that it was too broad and poorly understood to be a useful diagnosis. With the DSM-5, most people who once had the PDD-NOS diagnosis would now be considered to have an "autism spectrum" diagnosis instead. What Were the Symptoms of PDD-NOS? Before 2013 and the DSM-5, many children had some symptoms of one PDD and some symptoms of another, but not enough of any one of the four specific disorders to receive a diagnosis. In other words, while they clearly had social communication delays and other symptoms, they did not have Rett syndrome, fragile X, Asperger syndrome, or autism. As a result, they received the catch-all diagnosis of PDD-NOS. 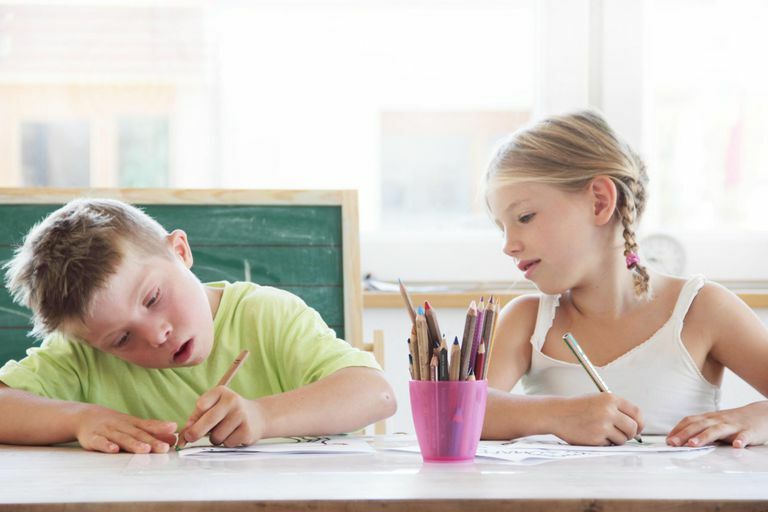 Children with PDD-NOS might have have mild or severe symptoms. They may have been intelligent or cognitively delayed. They might have been verbal or non-verbal. The only real point in common, therefore, were some but not all of the symptoms of any of the other PDDs. On the up side, PDD-NOS did provide a diagnostic option for doctors looking at children who had a range of differences that didn't seem to fit any particular category. On the down side, the category was so general and so vague that it told parents, therapists, and teachers very little. Unlike the now-defunct Asperger syndrome category, which was another term for "high functioning autism," PDD-NOS could mean virtually anything. While many still mourn the loss of the very useful Aspergers category (and many still use the term! ), very few seem to miss PDD-NOS. Grinker, Roy. Pervasive Developmental Disorder Through the Years in the DSM. Unstrange Minds. Web. ND.